Brody Runga, Co-ordinator of Consumer Networks in Auckland, first visited Arts Access Aotearoa in 2012 to talk about developing a sustainable creative space in South Auckland. We caught up with Brody last month at the Exult Tonic Conference in Tauranga. Q. What creative projects are you working on at the moment? 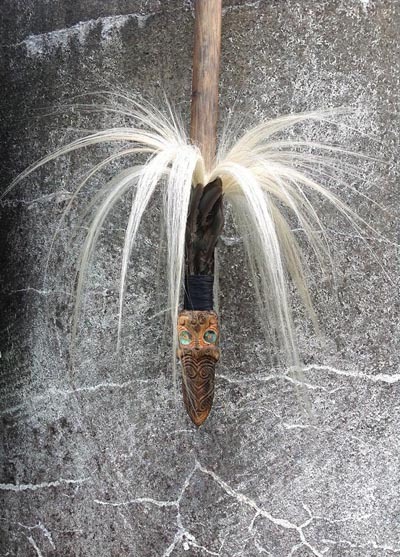 A. I’m a carver and I’ve got what I call a “stickation” – an obsession with sticks and creating both traditional and contemporary koauau (flutes), tokotoko (ceremonial carved walking sticks) and rākau Māori (weaponry). I’m passionate about creativity. I’ve got personal experience of drug addiction and mental health issues, and creativity played a huge role in helping me find my identity and a positive pathway. 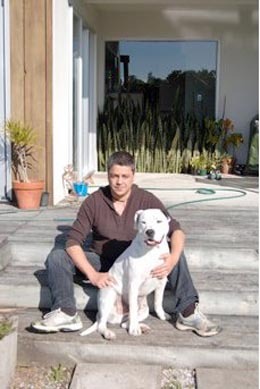 In 2008, I graduated with a diploma from the Manukau School of Visual Arts and that was a pivotal moment for me. It reaffirmed my self-belief and gave me the confidence to see myself as a valuable member of the community. This all explains why I’m a trustee of the Tufuga Arts Trust in South Auckland. We run two art classes a week for people accessing Counties Manukau Mental Health Services. Between eight and 12 people come to each class and we’re working towards an exhibition in late March at the Nathan Homestead in Manurewa. The exhibition will include individual artworks, along with a large collaborative canvas exploring themes around identity. I’m also involved in publishing a catalogue of an exhibition we had at Mangere Arts Centre. It will be exciting for the participating artists to see their work in a catalogue. It will raise the bar for them and take their work to a professional level. The other thing I’ve been doing since March is taking part in Arts Access Aotearoa’s mentoring project. When I signed up for mentoring, I was hoping to find someone who could help me develop the Tufuga Arts Trust with a strong board. My mentor is Lisa Howard-Smith. She’s fantastic and has become a supporter as well as a mentor. Q. What were three useful things you learned at the Tonic Conference? A. Firstly, I was so grateful to Arts Access Aotearoa and Exult for the scholarship to attend the Tonic Conference last month. It was just the boost I needed to carry me through to the end of the year. It was re-energising. So three things I learned at the conference? How to motivate people to think outside the square: I put this into practice the following week at a Consumers Network hui to talk about rebranding. I used presenter Cyriel Kortleven’s metaphor of people crossing over the same bridge every time because that’s what they’ve always done. I used the metaphor to reassure people that it’s okay to look at things in a new way and take another path. After talking about it, they now feel excited about rebranding. How to have fun: I went to the supermarket and got some chocolate coins, candy canes and Hersh kisses. Throughout the hui, people were either rewarded with a kiss or some money, or punished with a cane. How to make the most of Facebook: I’ve got a Facebook page but I don’t use it much. Now I’m a convert. I reckon an organisation can’t afford not to have one. Used properly, it will raise your profile, provide useful information and keep you well-linked to your supporters. Q. 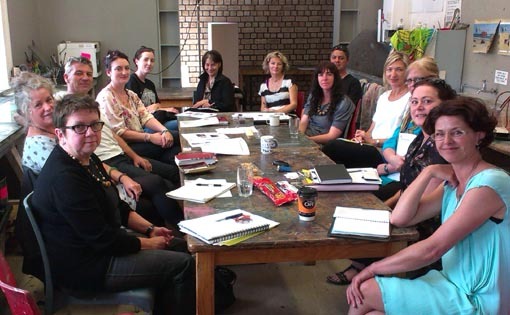 What are the benefits of belonging to the Creative Access Network (CAN) in Auckland? A. I joined CAN a year ago. The main benefits of belonging to this network are around sharing information and expertise. It’s a good way to make connections with like-minded people and find out about opportunities. Erwin van Asbeck from Toi Ora Live Art Trust has been very helpful and if ever I want to bounce ideas off him, he’s only a phone call away. Original generation time 1.6095 seconds.